Some Peek in the Stacks blog posts are authored by CSUN students who work in Special Collections and Archives in the Oviatt Library. 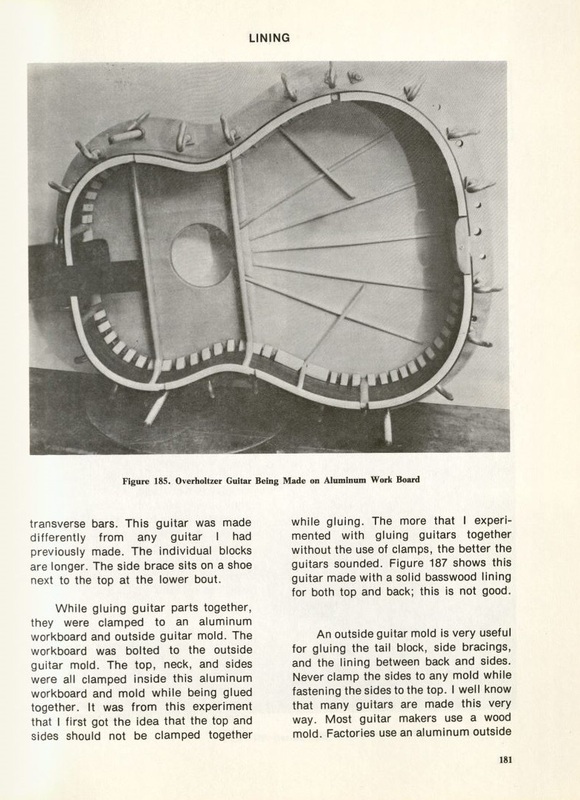 This week's post was written by Jared Hevrdejs, a student assistant in the International Guitar Research Archives. Jared is an senior majoring in Guitar Performance. 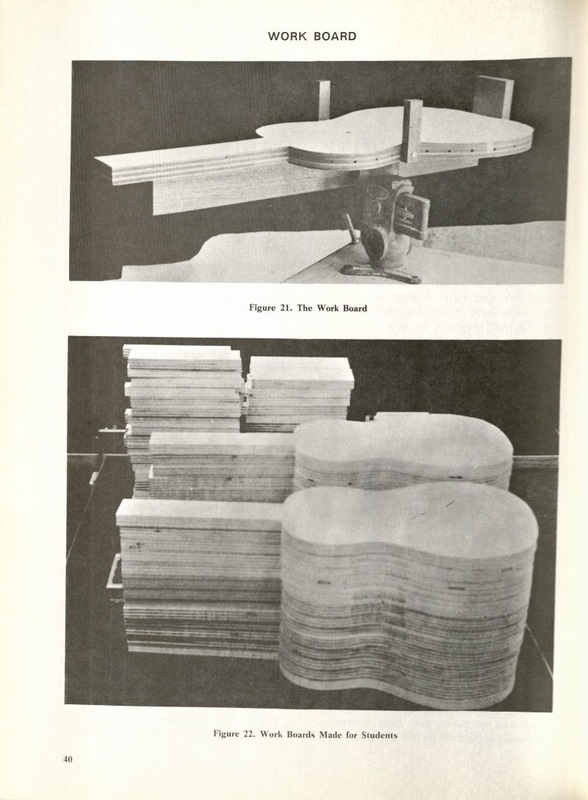 The best woods for guitar building, regardless of species, should be close-grained, seasoned, and unblemished. The tone of the notes produced is mostly dictated by the top of the guitar, whereas the back and sides provide the resonance of the notes. Softer woods like spruce, pine, and cedar, are used for the top to achieve a warmer sound, and harder woods like Brazilian/Indian rosewood and maple are used for the back and sides for greater resonance. 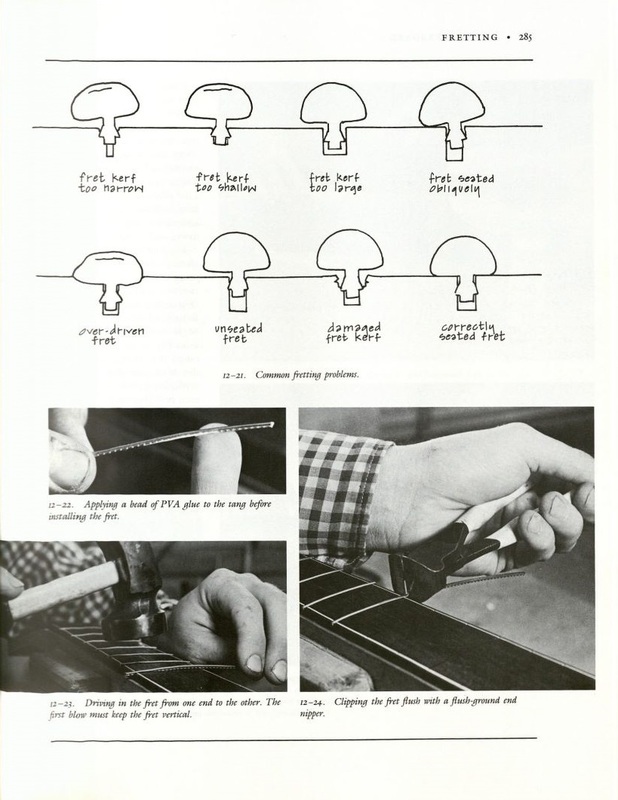 Ebony is used for the fretboard, due to its lack of grain, and maple is used frequently for the neck because it is able to withstand high tension. The workboard is a thick, guitar-shaped piece of plywood that is used throughout the guitar making process and is a vital and necessary tool for any guitar maker’s workshop. 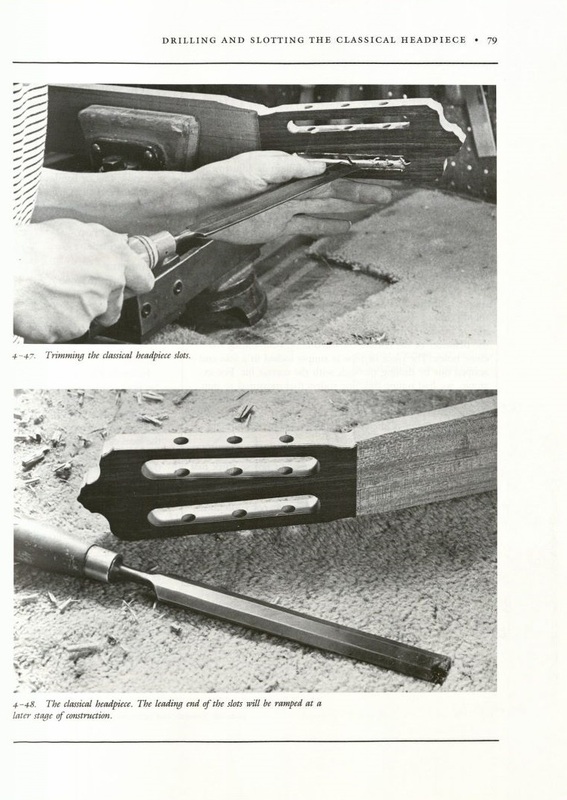 Other important tools include clamps, saws, chisels and inspection mirrors. No power tools are necessary, but they can be incorporated to make certain steps in the process less tedious. 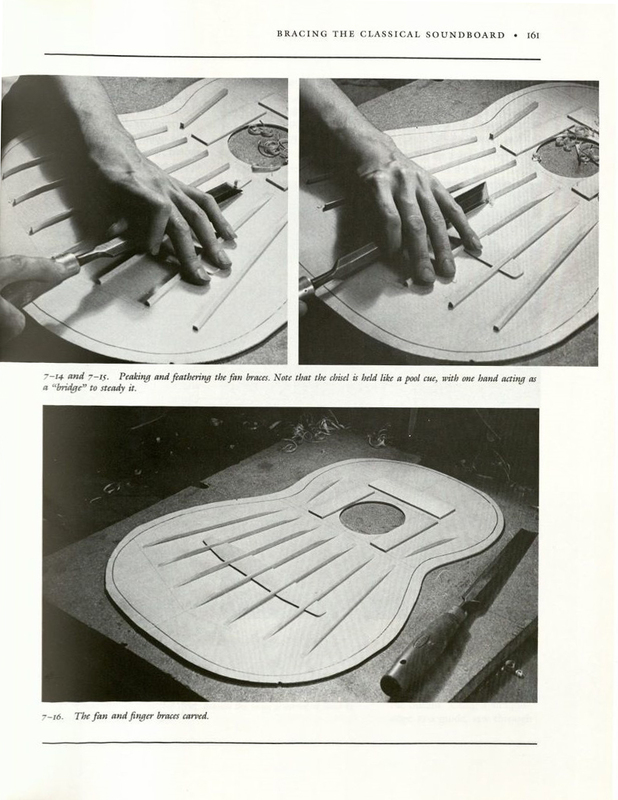 A guitar-making workshop should also have a way to bend and shape the sides of the guitar. To do this, one must place the wood in boiling water until it can be clamped to a mold or shaped manually against a pipe. 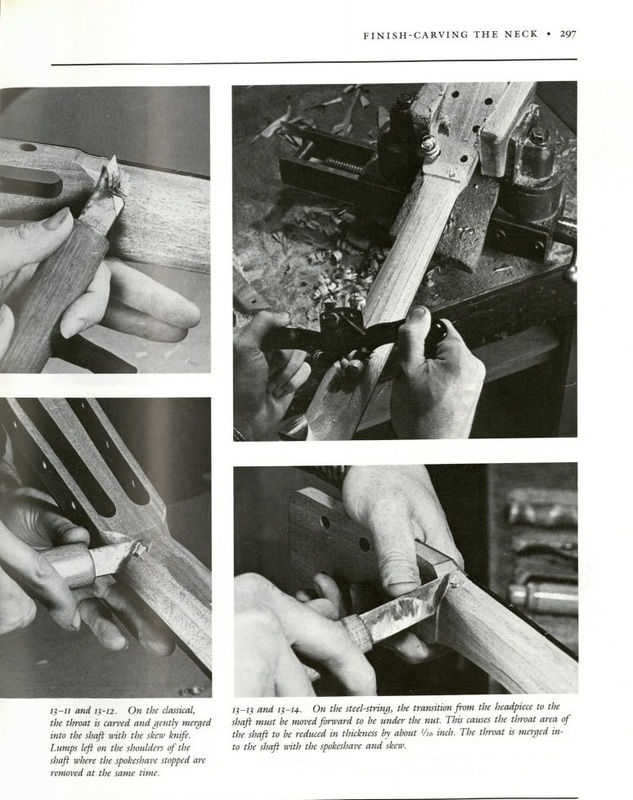 There are also other, more modern techniques for bending sides as well, such as using bending irons and heating blankets. 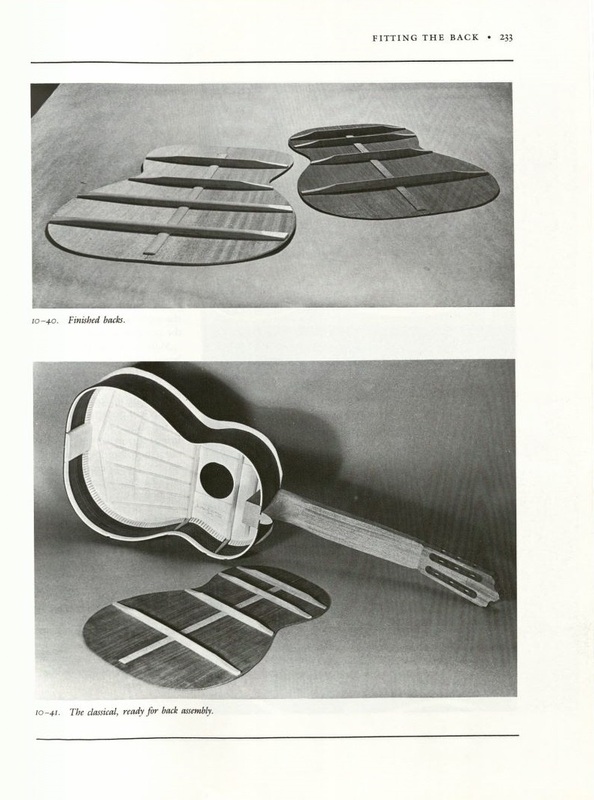 To attach the sides to the back and front of the guitar, one lines the sides with wooden blocks called lining, not only for stability but to increase the surface area for the glue to adhere to. 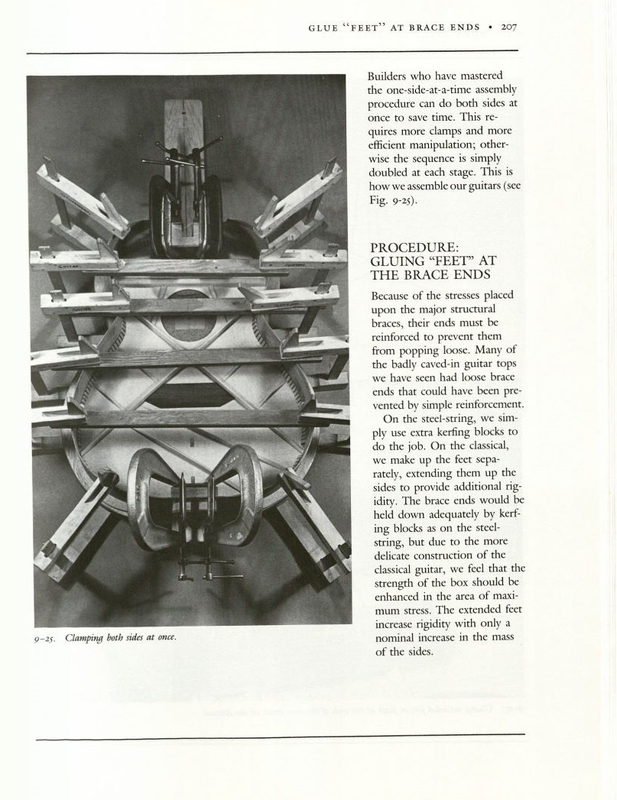 There are several different bracing structures within the body of the classical guitar, the most common being a style called fan bracing for its fan-like shape. Bracing in the interior of the guitar serves to control the vibrations of the body’s wood and give the guitar a more controlled sound. 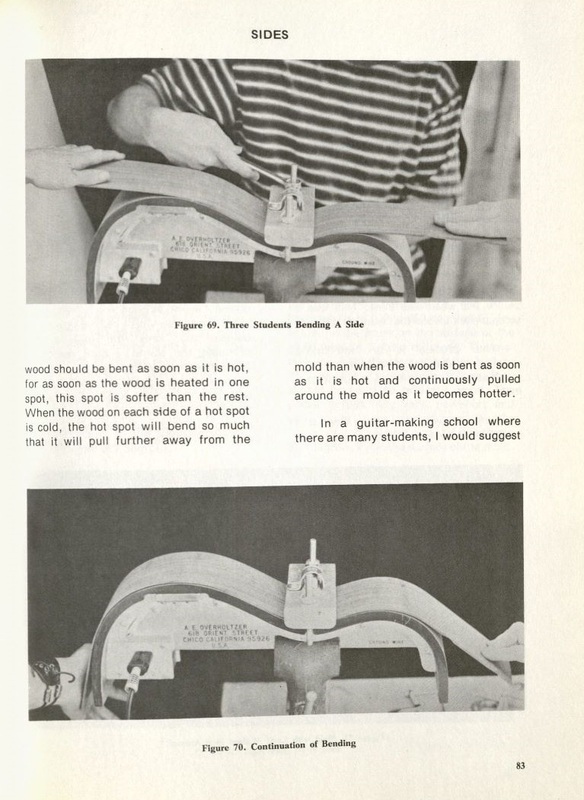 Without the bracing, not only would the sound be unpredictable, but the guitar might crack due to the humidity of the air. Building guitars in a shop that is less humid than where the guitar is going to be played most often is another way to further prevent warping and cracks. 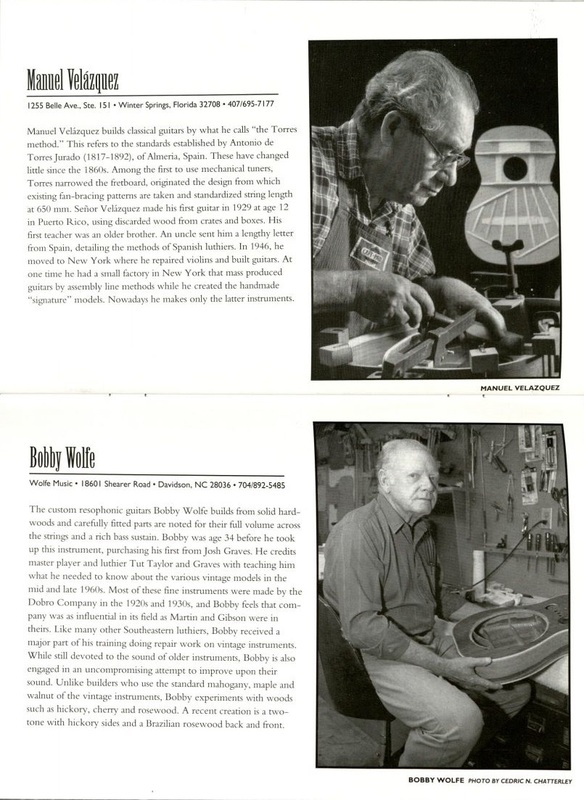 Current techniques and practices in guitar building have developed over decades of experimentation and adjustments. 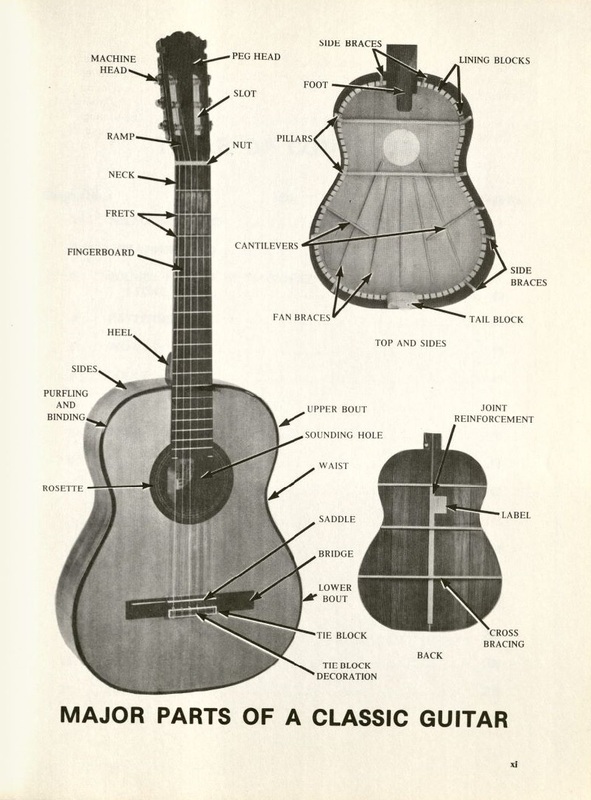 The Development of the Modern Guitar by John Huber discusses in detail the advancements and changes made to the modern classical guitar over the course of two centuries. 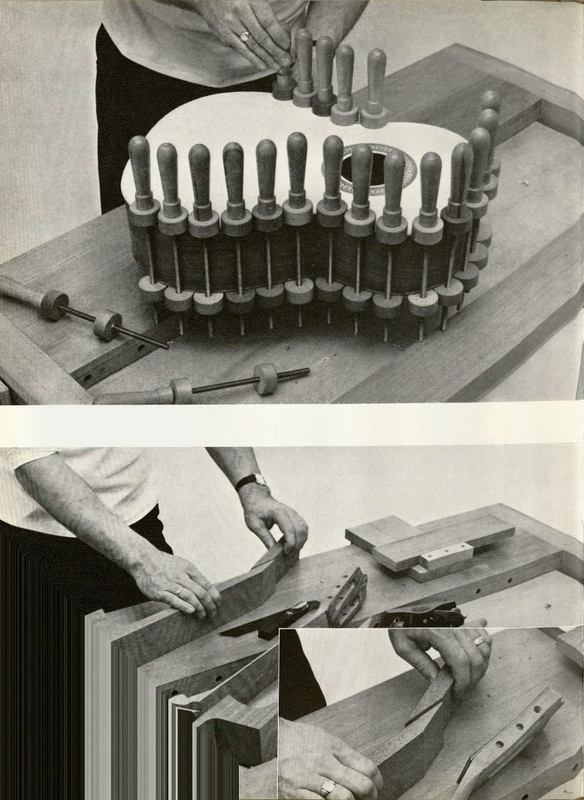 Huber examines each individual part of the instrument and how it has changed over time, the intended purpose of each change, and the actual result achieved. It also uses historical context as well as marketing trends to analyze the changes in the instrument.